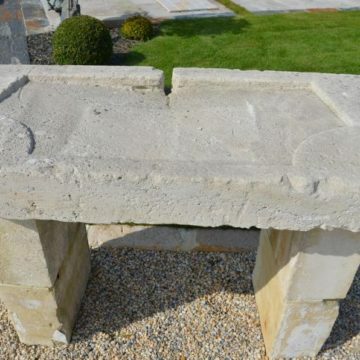 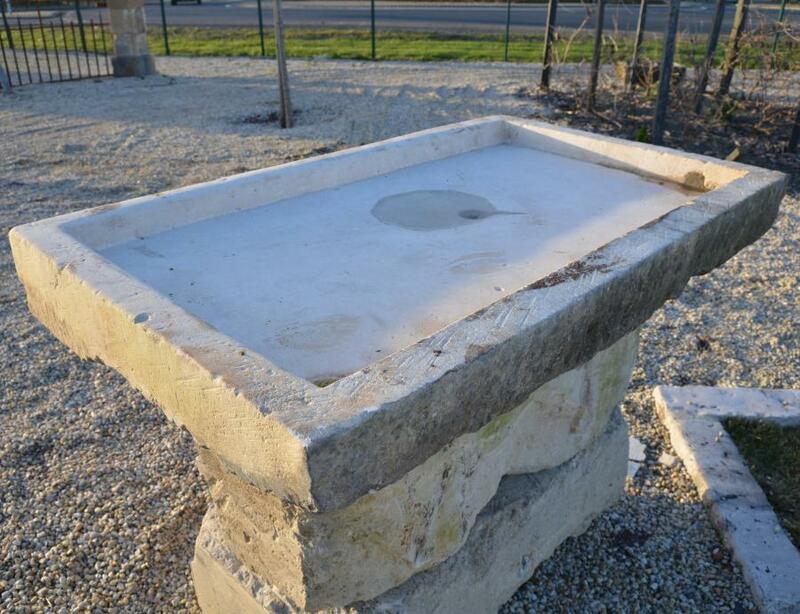 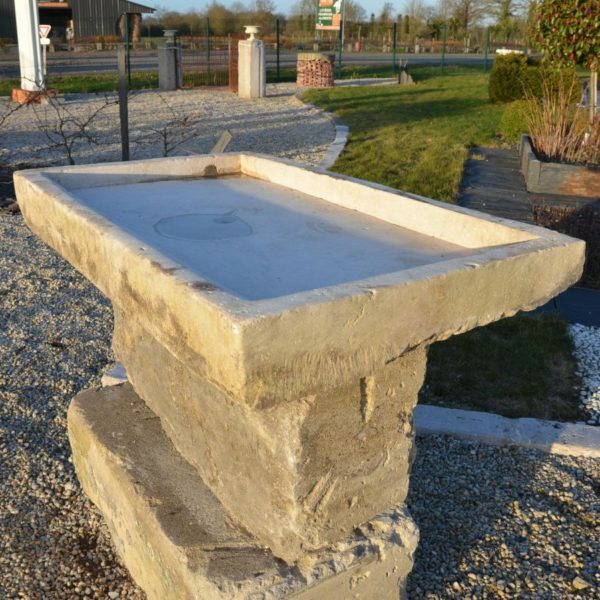 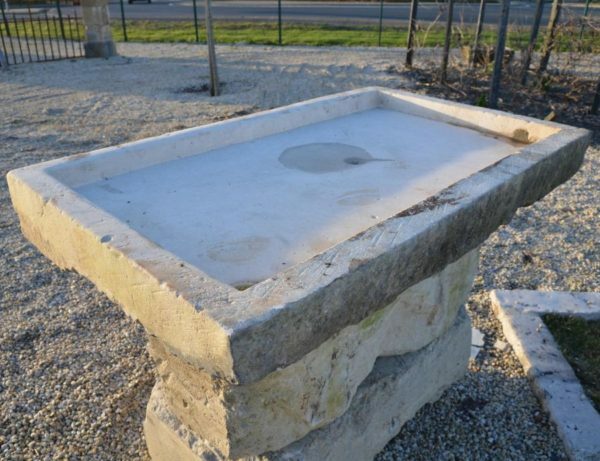 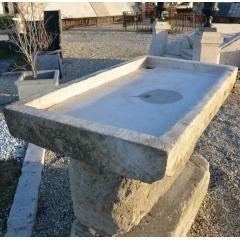 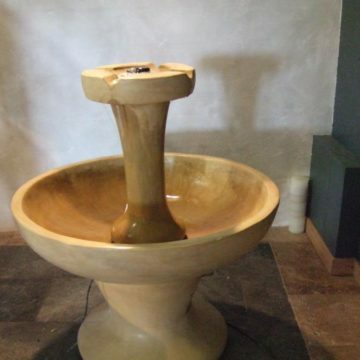 Antique French limestone farmhouse sink, centuries-old. 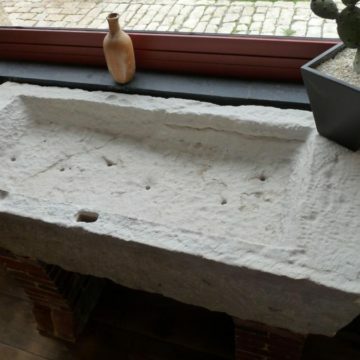 Dimensions approx : length 124cm (49 inches) x front-to-back 73 cm (29 inches) x height 13cm (5.2 inches). 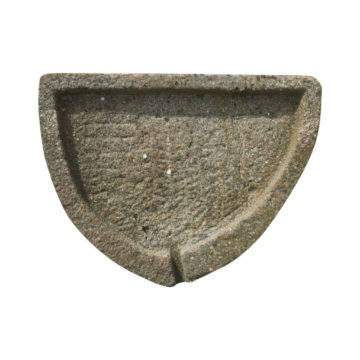 Interior depth 4 cm (1.6 inches). On display at BCA’s Méry Corbon premises between Caen & Lisieux.